Phase 1 provided a new community facility together with a multi-use games area. The single-storey building reinforces and adds definition to the site boundary and provides a positive edge between the games area and the main school entrance. The building is clad in a vertical cedar rainscreen with an abstract arrangement of boldly coloured, aluminium-lined openings. Rivington Street Studio assisted with the school’s successful application for Football Foundation funding. 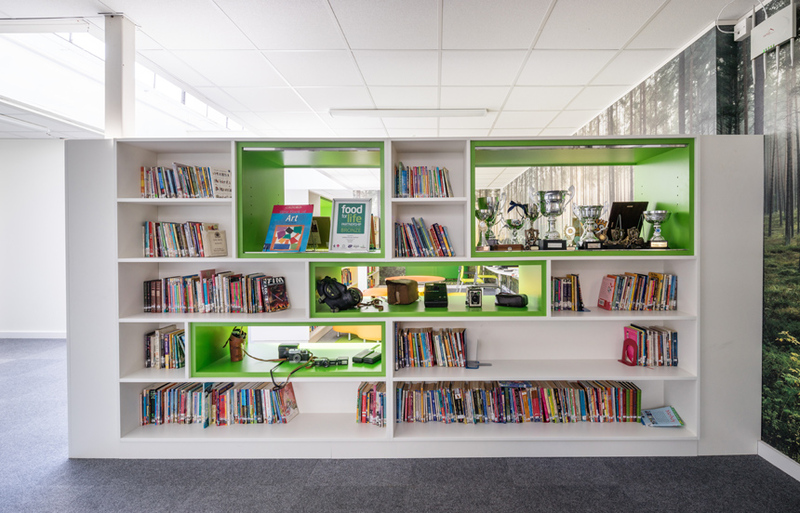 Phase 2 involved remodelling of the existing school keeper’s house into music and art teaching rooms to reflect Jubilee’s ‘School of Creativity’ status. Solar panels and a wind turbine provide renewable energy with a landscaped eco-area created from the original garden. 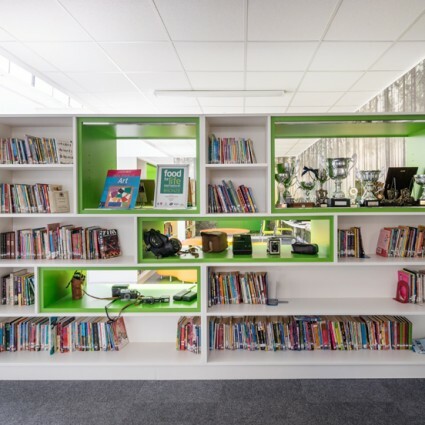 Phase 3 transformed part of the original 1960s school within the school’s term time to provide a new main entrance, library and learning walls with bespoke storage solutions to enhance the existing teaching spaces.